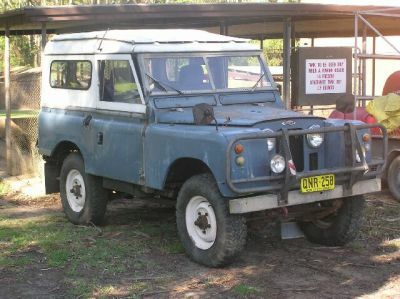 I was browsing another forum when a 4wding mate posted that he had this old Landy IIa for sale $500 and running but no rego. What, you've gotta be kidding eh! Anyway the deal was done and I was towing the old girl home for some love and attention. I didn't know what to do with it though, I'd just sold a Zook because it was sitting there. Anyway the old girl's got a Nissan SD30 3.0l diesel engine and a 5 speed mated to a factory transfer case. After many thoughts of restoring it to a registerable state, turning it into a tube buggy etc and total indecision the renovations began. I stripped her of her axles and reendowed her with a set of 4.88 Hilux axles for some added strength and Landcruiser offset rims for some added width. This setup lfts the truck by about 4-6 inches as its also now sprung over. 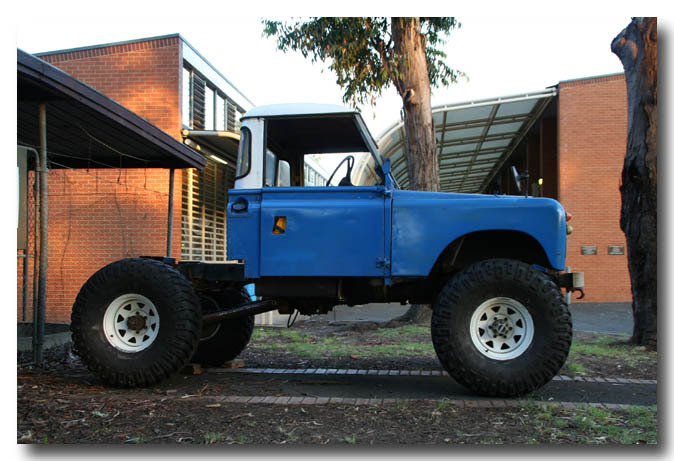 The body was then stripped off the 4WD and the Nissan Diesel/Gearbox came out so that the V8 + LT95 could go in. It was a very very tight fit and with a lot of luck it worked. The firewall had to be replaced with another that I had rebuilt and opened up to fit the V8 into. While the body was going back together the wagon body was flicked and it was rebuilt using a LWB ute bulkhead (modified to suit SWB chassis), roof and glass. The the whole lot was given a coating of Rustgard blue and Rustgard white..... despite the aluminium. 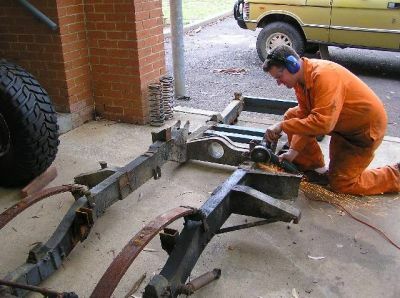 The Hilux axles were then flicked, and I've moved to a stronger Toyota LC60 axled setup. These are a fair bit wider for stability and have significantly stronger diffs in them. 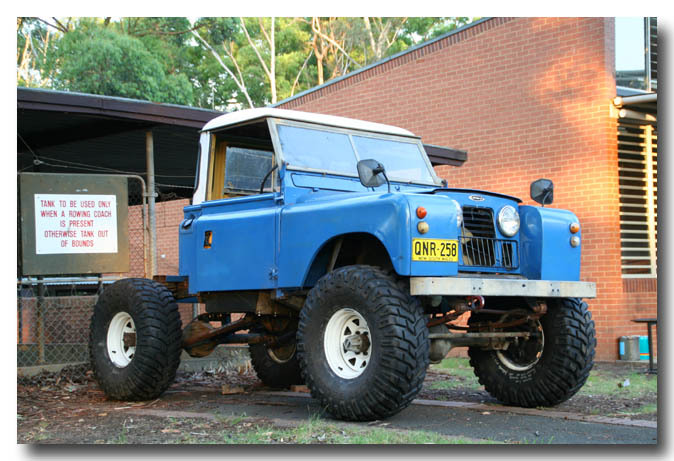 These were modified to run sprung over at the front and X-over steering was again adapted to suit. The rear LC60 diffs also have an offset diff centre to align itself better with the LandRover gearbox which fixed a tailshaft problem. The rear has been coil sprung. I made the bombproof lower links, and mounts for the upper Rover A-frame. Xmembers manufactured also. 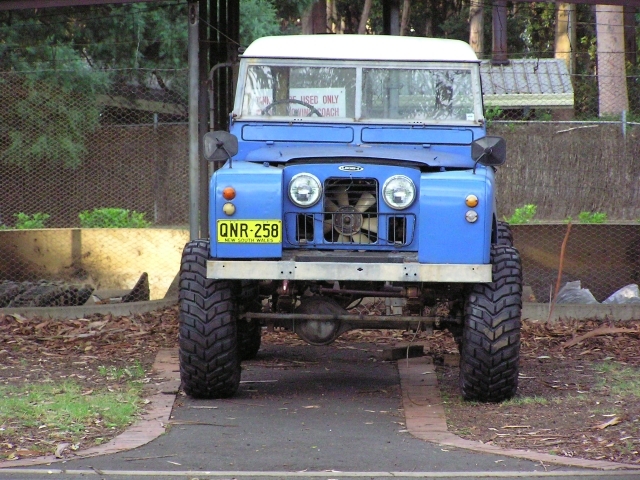 Springs are Rangie units and a front Hilux DC propshaft has been made to suit the rear. The rear diff is also 300mm further back to bring the wheelbase out to 100". 38.5" Denman Ground Hawgs are back on, though these have now been replaced by a set of good 37" Micky Thompson Baja Claws which are measuring bigger than the Hawgs. 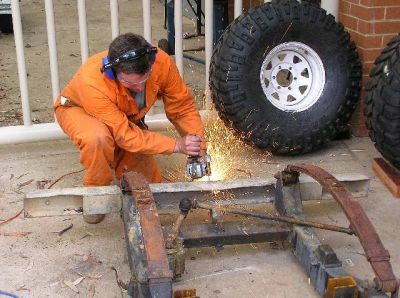 The chassis has also been shortened and a new X-member at the rear installed which fixed a minor angle grinder mishap. Micky Thompson 37x13-15 Radial Claws on LC rims. Propshaft protected by lower links also. Plenty of ground clearance under the belly. Currently flexing about RTI850 at 20degrees. There is a lot more to be had from the front though. Hopefully it'll be sitting around the RTI1000 mark which requires another 4" height on the lifted wheel. The old girls now got a deck of 2" wheel spacers now giving extra width for stability. Important when being run at that ride height! Overall, its now 4" wider total from the LC axles, and roughly 15" overall wider than standard. 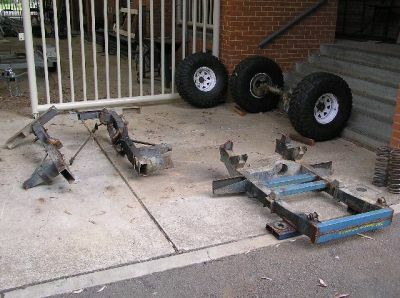 To come: Tray, shocks, front propshaft, power steering, radiator, connect brakes and exhaust then interior to be reintalled. I'm also about to change the chassis to a LWB chassis which will be some extra work but hopefully will help correct some bits that I'm not completely happy with. The ride height will be dropped due to the incoming revised ADR's and the front will also be coiled using Discovery 2 front end geometry. 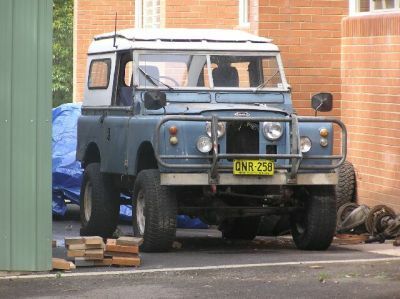 The Rover is dead, long live the Rover! And Ute2's reincarnation! Work in progress.